There are 20 reviews of Iris de Nuit. The iris note shines through the top of this fragrance. There is a "Pixi Stix" dry powder candy vibe here also. The dry-down is a beautiful Iris mixed with some kind of strange musk and glue. The iris top note is very nice, on the bright sight, with an earthy component that is not compromising the elegance that characterises this iris. It blends quite well with the synthetic ambery vine in the drydown, that also includes a pleasant violet note together with a somewhat nonspecific woodsy base note. Whilst I am not mad about the second have of the development of this creation, this iris, whilst not competing with the great classics, is one of the very well executed contemporary iris creations. 3.25/5. This is probably the cleanest iris scent I've tried so far, in a month-long search for an iris frag purchase. It started off with a whiff of rubber and salt, which says ambergris to me, and then it swung towards a fresh, clean but sophisticated iris and violet accord (violet definitely playing second fiddle here--just adding a sense of freshness) with a tickly little herbal edge. I think I'm getting some waxy orris butter as it comes together, but that may be a Jedi mind trick. The parts are definitely more than the whole. This is definitely a dandy's iris (male or female)--neither powdery nor prim. With its cooling effect, this wears more like a splash. It has nice sillage compared to some of the other "straight" irises I've tried. We'll see how long it lasts. 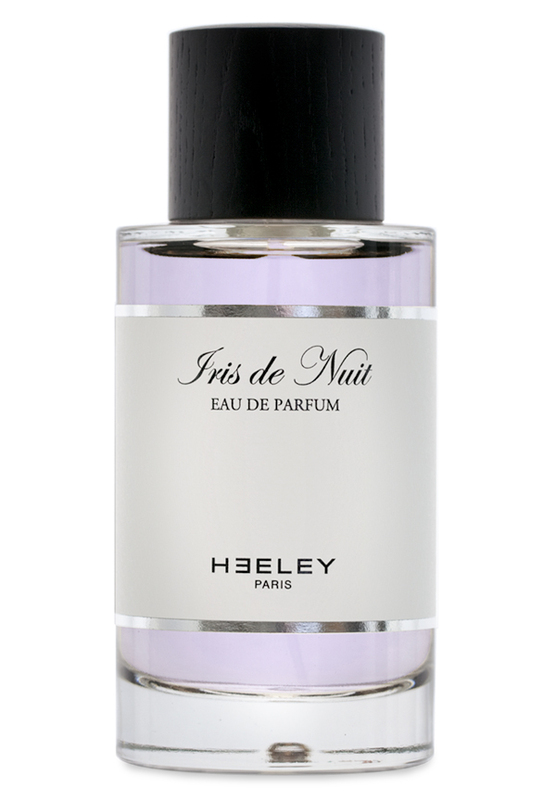 So Iris de Nuit by James Heeley is a fragrance composed around orris root, the root of the iris flower. Personally, I love iris. My signature perfume has an iris/orris root note and I love how it smells clean and earthy at the same time! Here we have a clean, slightly earthy orris note paired with powdery violet and clean vegetable musk (ambrette seed). A very clean musk. There is also a carrot seed note which I think must be similar to (although I haven't tried it - Hermès - Hiris, which has the same note). Either way, I like this one... and as I was wearing it today I received a compliment! Which rarely happens! To me this reminds me of very clean laundry sheets, and earthy powder (hard to describe actually)! A lovely fragrance. Especially as I am a huge fan of iris/orris root. For me personally I have already found my perfect iris fragrance, which does not smell like this one. So for me I don't think I would buy but if you like a "clean" but interesting smell you could try it out. There are no member images of Iris de Nuit yet. Why not be the first?